In the wild, more flowers mean more seeds, more fruit, and more food. It’s no wonder we think flowers are so pretty and awesome. Zach Lippman thinks flowers—and the genetics that control the timing of flowering—may hold the key to bigger and better bumper crops. A tomato-loving biologist who cultivates 80 tomato varieties in greenhouses at Cold Spring Harbor Laboratory, Dr. Lippman studies the genes and hormones that regulate flower production with the goal of growing more (and tastier) food for a hungry world. 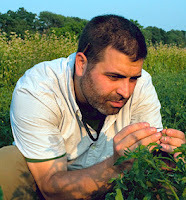 Combining old-school plant-breeding with the latest genetic discoveries and a little sleuthing, Dr. Lippman recently pinpointed a naturally mutated gene in a varietal that—when crossed with a normal tomato plant—produces sweeter tomatoes and 60 percent higher yield. That’s a whole lotta bruschetta…. 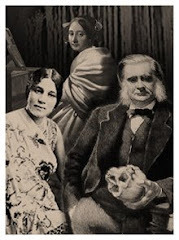 This petal-pushing edition of the Secret Science Club meets Tuesday, July 16 at 8 pm @ the Bell House, 149 7th St. (between 2nd and 3rd avenues) in Gowanus, Brooklyn. Subway: F or G to 4th Ave.